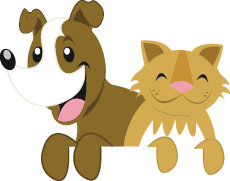 Oakland Animal Hospital is a proud participant in the Bark For Life noncompetitive walk for the American Cancer Society. We have proudly sponsored the event in 2012 and 2013. Our employees socialize with participants and their dogs, passing out bandanas, frisbees, and all sorts of fun goodies. We are able to see so many of our existing families and make some new friends as well. This walk raises funds and awareness for the American Cancer Society. 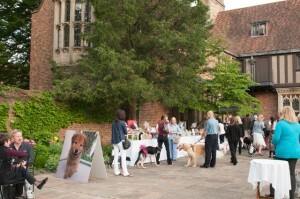 This posh cocktail party with your dog is one that our employees look forward to every year. 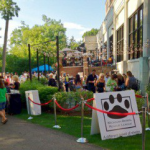 Oakland Animal Hospital is proud to sponsor this event which benefits the cats and dogs of Michigan Animal Rescue League. 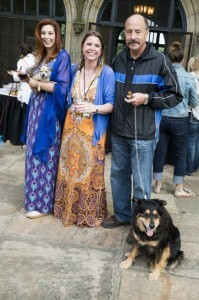 Our doctors and staff mingle with our clients while helping to raise awareness of the plight of homeless animals. We strongly believe in giving back to our community, while allowing our passion for animals to shine through. We are extremely proud that our manager has co-chaired this event. Doctors over the years have participated in Rochester’s local chapter of Jaycees. This group promotes young people becoming involved in the community along with allowing them the opportunity to grow their leadership skills. The purpose of the local chapter is to provide beneficial community services, determining community needs and providing solutions for community service projects. Dr. Duncan spent several years within this chapter. Dr. Duncan and the Jaycees adopted local families in need during the holiday season, providing food, gifts that their families otherwise would not have. For more than 25 years Oakland Animal Hospital has hosted a high school program for individuals with a special interest in the science field. This program allows students interested in veterinary science to participate in a clinical setting. Students from three different Rochester schools are hand selected to participate in this class. Fifteen senior physiology students meet once weekly in the evening at Oakland Animal Hospital. Lectures from various doctors on staff are given to these individuals. This class allow students to observe many clinical procedures they would not normally see in a regular school setting, including endoscopy, ultrasound, laser procedures, orthopedic procedures, ophthalmology procedures, as well as blood and urine studies. Throughout the program students are required to shadow our doctors and witness procedures first hand. OAH is proud to help make a difference in our young people and encourage their interest in veterinary medicine. Dr. Susan Matyas has recently become a member of the Rochester Junior Women’s Club. Their focus since 1956 has been to support the community through promoting education, preserving national resources, and supporting the arts. 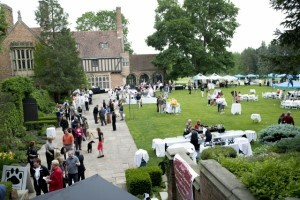 They regularly raise fund for varies organization in and around the Rochester area. 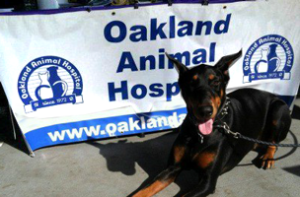 Oakland Animal Hospital is delighted to participate in the community, other organizations that the staff of OAH has happily promoted the following: Assistance League of Southeastern Michigan, Crittenton Hospital Foundation, , Dancing in the Streets, Dinosaur Hills Nature Preserve, Leader Dog for the Blind, Girls Night Out, Rochester Parade, Rotary, Special Olympics, and the World Vets International Aid for Animals .